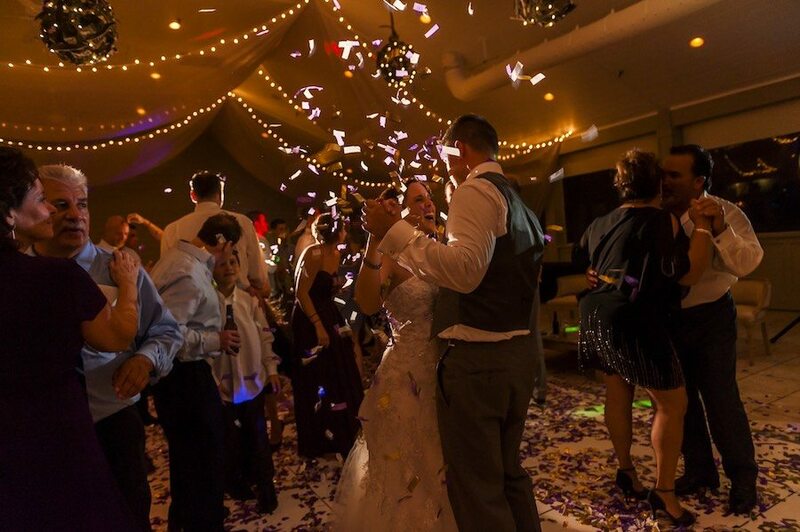 We compiled the questions most frequently asked by couples along with helpful tips so you can hire your wedding DJ with confidence. 1How long have you been a DJ? 2How many weddings do you do each year? 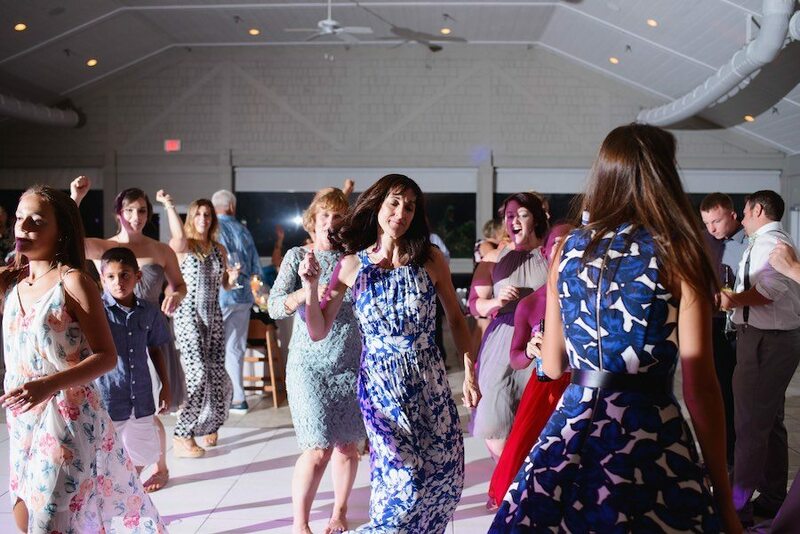 Our team DJs over 250 weddings per year across several cities in North Carolina – mostly in the Outer Banks, Wilmington, and Greenville. 3What education and/or training does your team have? Owner and DJ George Wainwright started working in local night clubs during college, becoming a part time radio DJ in 1990. George's since worked over 2000 weddings and over 5000 private events, and has attended numerous training workshops all across the country including the PhDJ 1.0 and 2.0 in Raleigh, N.C. All of our DJs are experienced professionals and as part of our team are encouraged to attend conferences, seminars, and DJ performance workshops all over the country. That includes events such as Mobile Beat Las Vegas, and The Atlantic City DJ convention. 4What is your typical process for working with a new couple? We take the time to meet in person to get to know our new clients and their needs. We want to get to know our clients. The more we get to know them the better their wedding or party will be. Our process is to find out what services are needed and recommend the best package specific to the client. During the planning phase we want to be in contact on a regular basis to make sure work is taken care of, such as the order and flow of the event, to the music played the day of the event. Customer service is our number one goal. Coastal DJ was the best DJ I have ever heard. He played music that appealed to everyone of all ages, kept the dance floor filled and was very professional and easy to work with. I would highly recommend for any occasion! 1How much do you cost? To give you an accurate answer we'd need to know how long you need us at your event and if you'd need any add-ons such as special lighting, extra equipment, etc.. To give you a basic idea, our base rate is $200.00 hour. We hope that you’ll contact us so that we can find out more about your event. 2What are your payment terms / deposit policy? We ask for a 50% non-refundable deposit on all of our services. Final payment is due 2 weeks before your event. 3What happens if I (the client) cancel? 4Do you use a contract? Of course! It’s a simple two page document that protects both you (the client) and ourselves. 5Do you carry liability insurance? Yes, we do! We want everyone to have a good, safe time. 6How soon should we book a DJ? A good time frame would be 6-9 months before the event, although many of our DJs are now booked a year or more in advance. We try to keep a few DJs "on call" and we'll do our best to help if you need us at the last minute, but we'd not recommend that as your first plan. BEST DJ! our guests didn't sit down once! Great music selection! We love George! Highly recommend! 1Do you have backup plans if something goes wrong? All employees of Coastal DJ & Video will know the other DJ’s schedules and will be able to react in the event that something goes wrong. We always have at least one DJ “on call”. 2Will the DJ play requests? Our DJs will take special requests as long as they are appropriate and don’t go against any special wishes discussed beforehand with the couple. We want everybody to have a great time at your wedding. 3Can we bring our own music for the DJ to play? 4Should we tip the DJ? 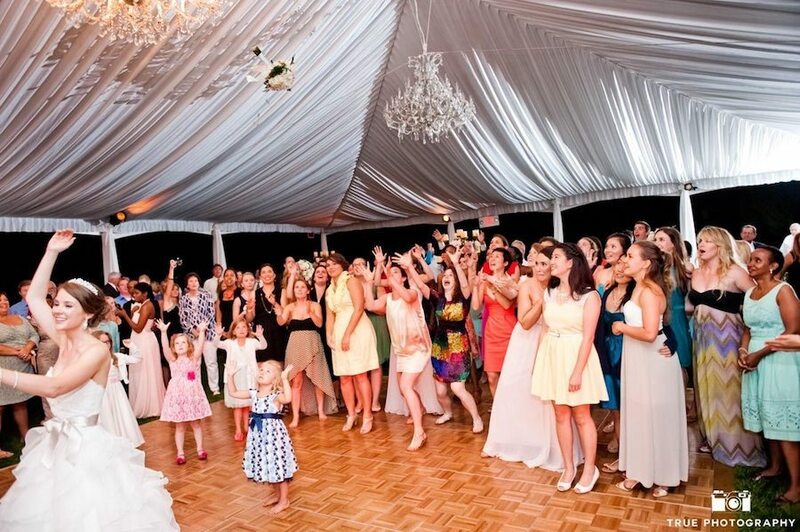 We do not include gratuity on the contract, but 10%-20% is recommended if you feel the DJ did a fantastic job. The decision is totally up to you. 5Should we feed the DJ? This is up to you. Many times the catering director or banquet captain will set aside a meal for vendors is you request it. If we have the time, we will partake. If you are not doing anything for your vendors, don’t worry about it. 6Will the DJ play overtime if needed? DJs are able to play overtime unless they have a later gig booked for that date (which is rare). The charge is $125 per hour for private events and $200 per hour for weddings, to be paid at the end of the event. Our team is happy to help. You can always use the contact form, or call us directly at 252-573-0161.